What the Indian Software Czars think about their employees. N.R.Narayana Murthy – the god father of Infosys has in recently requested for a smaller airport near Electronic City since the current airport at Devanahalli is very far from Electronic City and the commute is killing. He has earlier also made statements like “… imagine if somebody who lives in Jayanagar wants to take a flight …”. He is concerned about his people’s troubles in taking a flight – commendable. The Infosys campus is out of the city at Electronic City and people from all over the city commute upto 2 hrs one way to reach office. The commute to office is daily, and the commute to airport is occasional, even for the most frequent travelers. Why does Mr.NRN need a huge campus outside the city with a golf course, swimming pool, etc., when his slaves employees who travel for looong hours every day don’t even have a realistic chance of using these facilities. Why doesn’t he have tall skyscrapers in the middle of the city with reasonable access to all parts on Bangalore – ofcourse this may not have golf course … but the rank and file won’t care. Is Infosys in the real estate business or software business? NRN simply does’nt care about the commuting owes, low quality of life, inability to have even a half an hour of quality time with family on a average week days, etc., all problems of his long commuting employees. Azim Premji – (almost) owner of Wipro in an interview in the late ‘90s announced that some taxes should waived on corporate because the said companies when they operate out of Bangalore employ sooo many engineers and all the engineers pay income tax. At that time I am guessing that the average engineers salary at Wipro was about Rs.20,000/- and they would take home about 15-18 thousand after tax. And since most of Wipro’s income was Premji’s a waiver on tax on Wipro would mostly mean that Premji, being the de facto owner, got a tax waiver. So in essence he was campaigning for his employees who earned a measly twenty thousand should pay tax and he should not when he makes about twenty thousand thousand!!! All your employees love you too. Yesterday, Sachin Tendulkar, the God of Cricket Retired. He saluted the pitch which provided him with almost everything, most importantly money / food / fame, for the past 24 years. Now he has the well earned luxury of doing whatever he wants to do, watch-the-paint-dry, watch-his-children-grow, cook, commentate, whateverelse. But for the rest of us who are the same age the question is will we ever be able to afford retirement. Even the so called well paid “techies” or “software engineers” – can we ever retire? 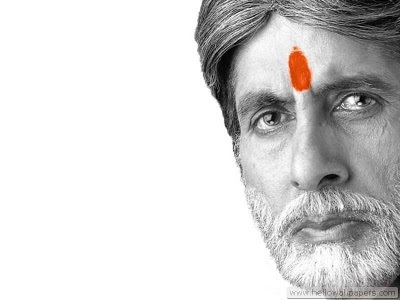 Or will we be the followers of the poster boy of working for ever Amitabh Bachchan? Even if we are willing to work will we have the jobs considering there is a rising number of senior (i.e., age 40+) engineers being forced into retirement. They do not get jobs may be because their skills are now outdated and the employer is unwilling to invest in retraining them; may be they have become set in their ways and need mentoring to break the mould; may be they are willing to take lower-lever or lesser-paying positions but none are being offered to them … These are the ones who have nobody to champion their cause – no trade unions, no politicians, nobody! There is also the insecurity of the savings corpus being insufficient considering the ever rising inflation, longevity and health care costs. This is the curse of India’s GenX.